The web-site of Presbyterian Youth Ministry for the PCANZ with lots of resources and news for teenagers. The web-site of Kids Friendly, the national children’s ministry of the PCANZ. Kids Friendly aim is to equip and resource churches and schools as they work to meet the needs of the children and families in their communities. Christian World Service, New Zealand’s longest serving development and aid agency has strong connections with the PCANZ. Their web-site provides information and resources on issues of global justice, aid and development. One Voice is the web-site of Rev Malcolm Gordon. It offers songs, sheet music, downloads and a blog reflecting theologically on issues of faith and life. The Knox Centre for Ministry and Leadership forms ministers and leaders for service in the PCANZ and other related denominations. The Resource Office for the Anglican Church Schools network. Alpha NZ offers resources to explore life, faith and God. The Alpha Youth Film series offers free downloadable movies ‘to help young people explore the character and claims of Jesus’. Christian Education Publications is an Australian Christian studies curriculum. It offers a wide range of curriculum, from its Connect series for Primary schools to around 25 titles for secondary schools. 90% of CEP’s high school students’ workbooks are available in digital format and compatible on most devises. The Resource Office has sample curriculum which Presbyterian schools are welcome to borrow, along with copies of the CEP 2016 catalogue. Illustrated Children’s Ministry provide creative and engaging Bible story illustrations which could be used in the classroom . A Sanctified Art describes itself as ‘artists in ministry creating resources for people in ministry.’ Resources include reflection booklets for seasons of the church year, short movies and art for use in personal or gathered worship. 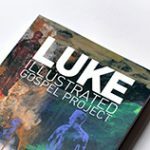 Malcolm Gordon (see the One Voice web-site above) has collaborated with musicians, artists, poets and writers to provide rich resources on the gospels of Mark and Luke. Nine stories from Mark and twelve stories from Luke are explored in this resource. 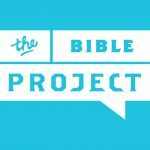 The Bible Project is a non-profit animation studio that produces short, fully animated videos to make the biblical story accessible to everyone. Videos are available on themes in the Bible as well as individual books of the Bible. 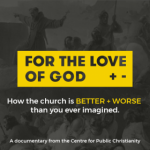 For the Love of God + – is an online resource produced by Australian organisation Centre for Public Christianity. The resources come in a number of forms: a documentary For the Love of God: How the church is better and worse than you ever imagined which can be purchased online. The documentary looks at the history of Christianity in the West and confronts the worst of what Christians have done eg the violence, corruption, hypocrisy and corruption. It also examines the unique contribution Christianity has made eg human rights, non-violence and charity, tracing these things back to the influence of Jesus. Short video segments from the documentary are also available online along with suggested activities for the classroom. They are grouped under four themes: War + Peace. Rights + Wrongs, Rich + Poor, Power + Humility. You can read an article by Simon Smart and Anna Grummitt, printed in Dialogue Australasia, Issue 40 November 2018, which gives more information about the resource here.